Bryan Ball, Peter Stull and Doug Ploetz on a scenic ride in Allegany County. Established on the plains of western Kansas in 1974. 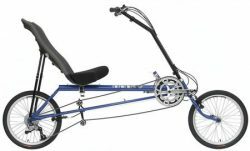 RANS made their first bike in 1974, the pedal & sail powered “Sailtrike” an innovative three-wheeled recumbent. It was lots of fun on the plains of Kansas. 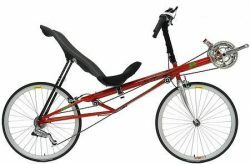 Their recumbent bike line has grown to include a wide variety of recumbents with Over-Seat-Steering (OSS). RANS makes ‘bents in both Short-Wheel-Base (SWB) and Long-Wheel-Base (LWB) models. The Bicycle Man has been selling RANS bikes since 1995 and has been the largest RANS dealer in New York State since the late ’90s. 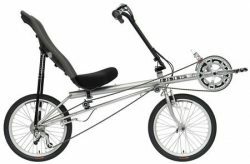 We typically stock the RANS Stratus LE, V-Rex LE, V3, Stratus XP (in steel and aluminum) and Rocket recumbent bikes. 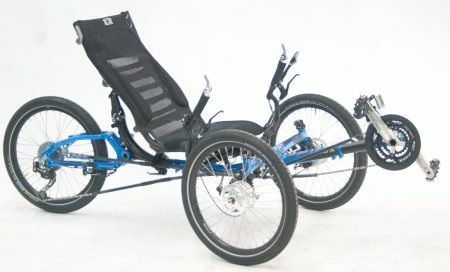 We also stock the Screamer recumbent tandem and Fusion Crank Forwards. 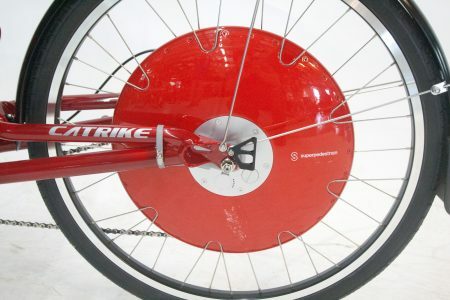 Most RANS bikes have strong, triangulated chrome-molly frames made in Taiwan, although an occasional Kansas-built RANS will slip through during peak season. 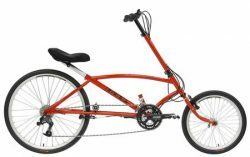 All RANS recumbent bikes have the popular RANS seat. 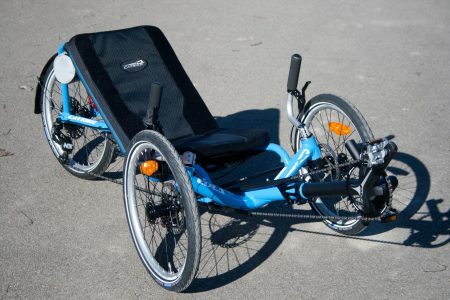 Many riders consider this standard RANS seat the most comfortable recumbent seat available. I am more comfortable on a RANS seat (or Lightning, Linear or Bacchetta seat) after a three-hour tour than after a three hour drive in our Dodge Caravan. I like to recline my seat quite a lot and the RANS seat allows a lot of adjustment. I also like the small pocket in the seat back where I can stuff a shirt or light jacket if I get hot on a climb. All RANS bikes come with the Rad-loc seat clamp. This makes adjustment easier and allows more recline. This is most noticeable on the Stratus, which didn’t allow much recline with the older seat clamp. Some riders found the 2003 RANS seat foam too soft, they felt a ridge behind their butts. 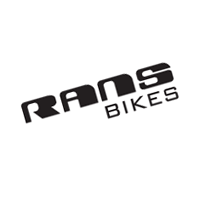 RANS is providing firmer replacement foam which most riders find more comfortable. This only affects ~10% of RANS seats made in 2003. RANS now offers several seating options if you’re inclined to experiment. One option is the very light RANS Zephyr Seat. The Zephyr has a carbon fiber base and a mesh back. It only weighs 4 lb. making it 1 ¾ lb. lighter than the standard RANS seat and almost ½ lb. lighter than some composite European seats (with deluxe air pad.) 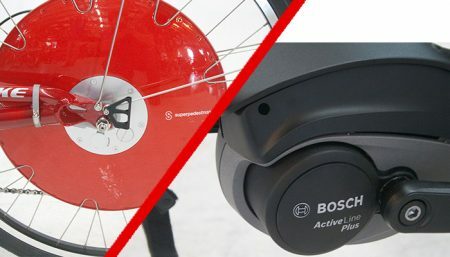 This seat is so adjustable, you can adjust seat base angle and seat back angle independently. Some riders may find the seat base angle changing as they ride, we had trouble clamping it as tight as we would like. The Zephyr lacks the pocket and water bottle mounts found on the standard RANS seat, a minor inconvenience. You will probably want to get a Camel-Back type water system to hang on the back of your Zephyr seat, they work great. Another option is the new “Hoagie” mesh seat. This seat is shaped like a European carbon fiber hardshell (another RANS option) but is made of mesh stretched over a steel or titanium frame rather than a sheet of carbon fiber. The new Sling Mesh seat is a new option for the 2009 model year. 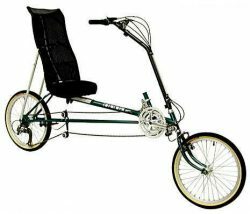 The back of the seat is similar to the standard RANS offering but the seat base lacks a seat pan. We’re eager to try both the Hoagie and the Sling Mesh. 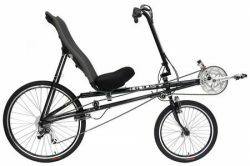 Considering their wide variety of recumbent bikes it is not surprising RANS is one of the the best selling quality recumbents in the US. They are not for everybody but they are worth a look. New Catrike Eola Has Arrived! If you have questions or want more information, we are here to help. Call or email us anytime.